Description: Multi-page PDF and TIF (TIFF) viewer, editor, converter, pages manager and multi-page scanner. It is an absolutely necessary tool to work with PDF and TIFF documents. Batch processing; text recognition (OCR); virtual TIFF printer; imaging annotations. Editing functions includes: create pages, add, extract or remove pages, change of pages order, insert new pages from scanner or from almost any file format (including another multi-page file). Description: Album Express is a great tool for creating slick, professional-looking picture albums for home, friends, and the Web. 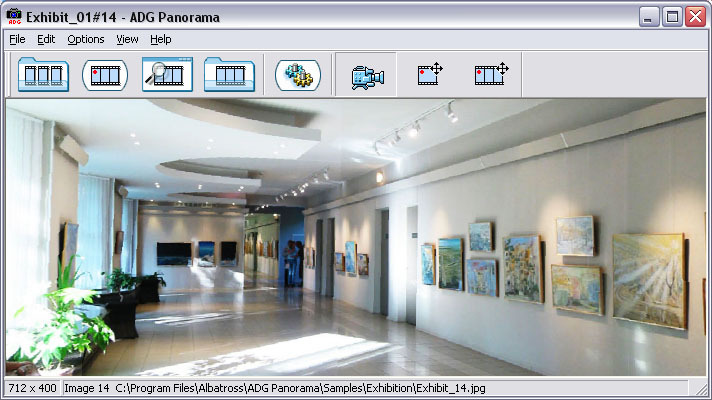 Its wizard-like interface and built-in templates make it easy to present your pictures in style: you can produce a slide show, create an index, catalog your pictures, and build a fully searchable image database -- all with just a few clicks of the mouse. Description: Photoshop plugin for advanced photo sharpening without forming halos. Provides both object edge sharpen and general sharpen algorithms. Fully compatible with various image editors, like Adobe Photoshop, Macromedia Fireworks, JASC, Corel and Ulead image editors, and numerous freeware like IrfanView and XnView. Plugin work with 8 bit per channel and 16 bit per channel RGB, Greyscale and Lab images. Description: Photoshop plugin for copying photo tone from toned black and white photos to new images. Filter extract and save tone map of your favorite masterpiece and allow you to reapply it to another photo. Fully compatible with various image editors for Windows, like Adobe Photoshop, Macromedia Fireworks, JASC, Corel and Ulead image editors, and numerous freeware like IrfanView and XnView. Description: 10 Photoshop-compatible plugins for special effects and photo retouch. Effects include painterly look (watercolor and dry brush), line halftone (engraving, woodcut, guilloche, TV-screen), metallic effect, misc softening, sharpening, hi pass and edge-emphasizing methods. Filters provide unique "wrap around" processing for seamless tiles. Fully compatible with various image editors, from Photoshop to freeware like IrfanView or XnView. Description: The program creates bit arrays from the fonts installed on your operating system (the entire Windows line since Windows 2000) and uncompressed 24-bit BMP image files. Targeted for embedded developers working with TFT-, LCD-displays. The output of the program is output C header files that a developer can include to his project. Description: Auto Straightener can detect skewed texts and images in scanned documents, and output a straightened version. It is a handy tool for those who are working with scanned content regularly, allowing them to try to repair a file instead of striving to find the original document.